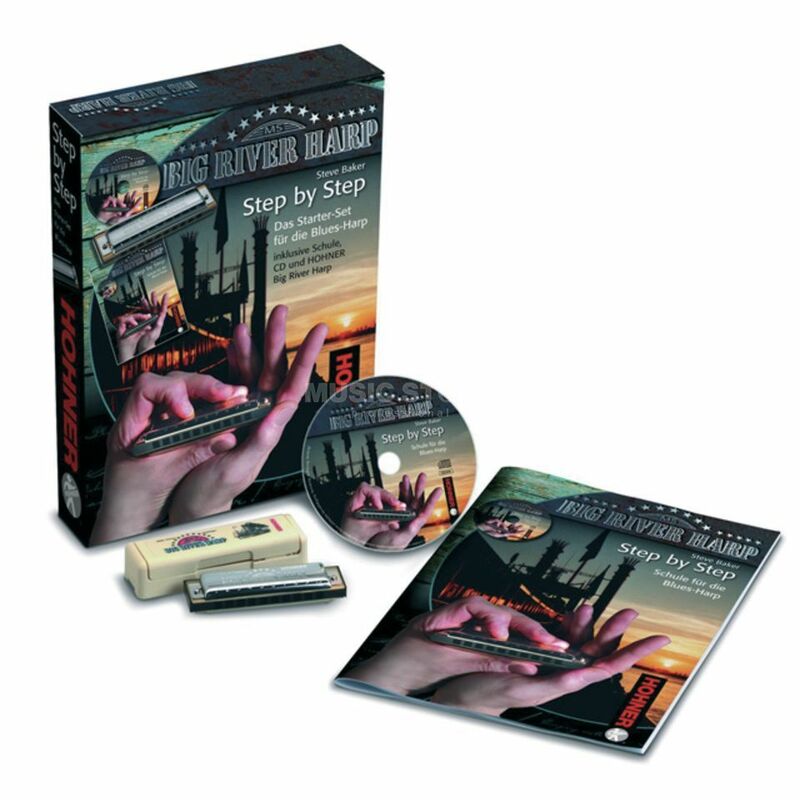 The Hohner Step-By-Step Big River Harmonica Started Set is a complete set for blues harp beginners, comprising a classic Hohner Big River MS harmonica in the key of C, a step-by-step tuition guide written by noted harmonica player and scholar Steve Baker, plus CD packed with play-along exercises. This consistently reliable workhorse combines the highest German quality standards at a more affordable price. A plastic combed, MS version of the Marine Band style harp, it is a great everyday companion you can also take to the stage, where it holds its own in blues, rock and country playing. The abbreviation “MS“ stands for Modular System, an integrated concept for harmonica design from Hohner. All MS components (covers, reed plates and combs) are fully compatible, permitting the player to create a combination to suit his or her individual tastes and requirements.